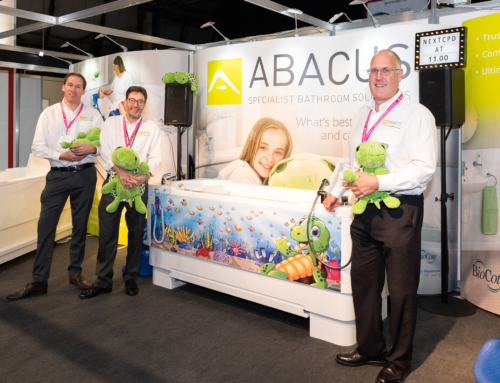 Abacus recently exhibited our products and latest educational campaign at Kidz to Adultz North (EventCity, Manchester, 17 November). 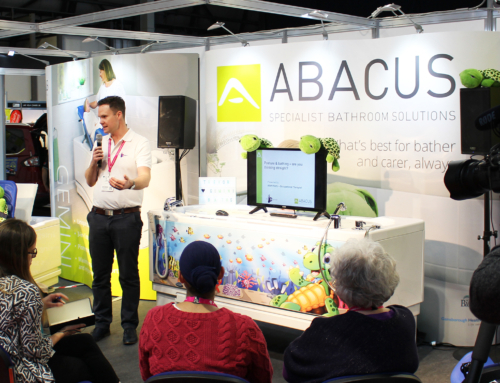 The Abacus product advisors were busy throughout the event which showcases the latest products and services to assist disabled children and young adults along with carers and therapists. Abacus demonstrated the popular Gemini hi-lo bath, with integrated changing, drying and bathing platform, along side the height adjustable and hoist-compatible Aries. In addition to demonstrations of these models, free information was available on the stand that provided guidance regarding bath funding for parents and Occupational Therapists. As part of the Abacus social media and web #BathingIsBetter campaign, printed guides were available that assist with applications for a Disabled Facilities Grant (DFG) via Social Services. The process of achieving a successful grant application can sometimes be challenging as many local authority budgets are under pressure, however with the information provided by Abacus a more compelling case can be submitted. Commonly local authorities can favour bathroom showering adaptations or wet room conversions as opposed to the installation of a specialist bath. This can be based on the perception that the former is most cost effective – in many situations this is not the case. The #BathingIsBetter campaign outlines many factors that justify the specification of a bath ranging from basic human rights through to safety and health benefits. Many parents request a bath but face difficulties achieving ownership through a DFG. However with the assistance of this latest educational programme by Abacus, many OT’s and families are now discovering an easier path to specialist bath provision.